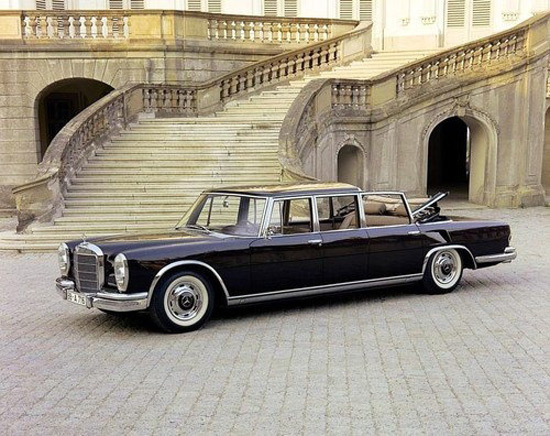 Mercedes-Benz 600 Pullman Landaulet 1967 Six Door in its time was considered the pinnacle of luxury in driving that money could buy. 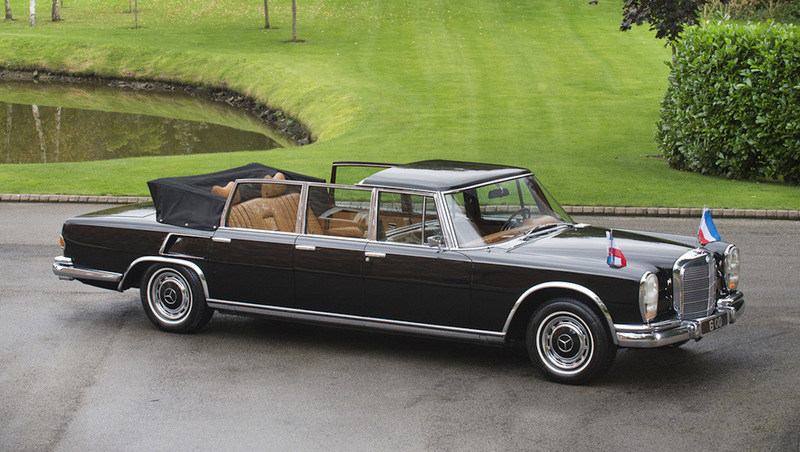 The most special variant of all cars was the Pullman Presidential ‘Long-Top’ Landaulet. With just 10 built, this particular model was reserved only for royalty or heads of state. Owners included HRH Queen Elizabeth II, Pope Paul VI, Chairman Mao, President Ceausescu and Prince Rainier of Monaco. 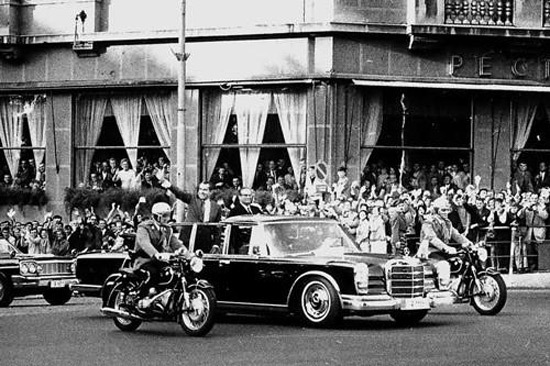 The Mercedes-Benz 600 Pullman Presidential ‘Long-Top’ Landaulet on show also had an infamous owner, none other than Josip Broz Tito, the ‘benevolent dictator’. Tito was a Yugoslav revolutionary and statesman, serving as the President of Yugoslavia between 1953 and 1980. Always sharply dressed with an accompanying Cohiba between his fingers, Tito loved to make a statement, and many experts believe this is why he chose the six door Landaulet as his car of choice. As the nation’s figurehead Tito was required to look his best at all times, thus he had a bespoke vanity station installed which included an electric razor, comb and a selection of after-shaves. Tito kept the car until his death in 1981. It has been used to welcome some of the world’s most important royals, politicians and dignitaries, including Her Majesty Queen Elizabeth II in 1972 and the President of the United States, Richard Nixon, in 1970. This car is now on sale for 2.5 million pounds.